The Girls are back and bringing it from out of this world! Girls’ Generation have returned with an absolute belter of a J-pop tune that is going to be released on the 18th September 2013. Co-written by Junji Ishiwatari, who has previously worked with Superfly, alan, FT Island and SHINee, the song has an addictive chorus that’ll have you hooked from the first opening bars. 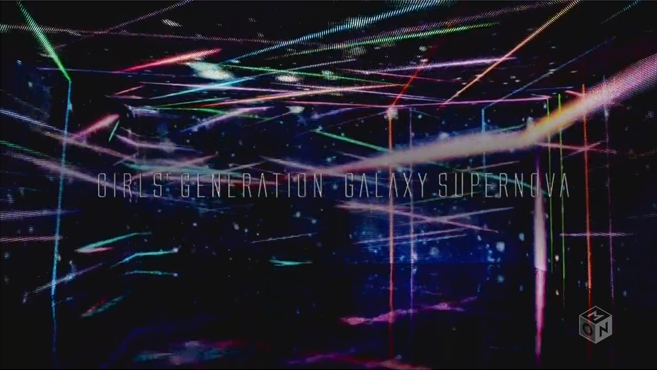 And while I could wax lyrical all day about how much I love the song, tonight I’m going to be reviewing the promotional video/music video for Galaxy Supernova. And I think the PV is an awesome accompaniment to the song. 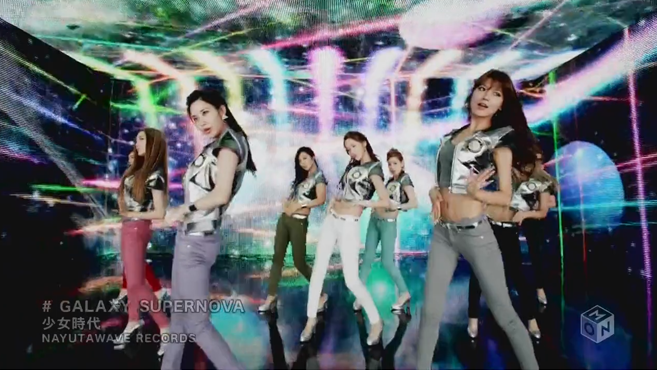 The PV begins by referencing Girls’ Generation smash-hit, Gee where the band was decked out in jeans and white t-shirts. It quickly cuts to one of the style concepts – think a Gap advert meets 70s sci-fi and you’ll come close. The whole music video is set against an LED screen back drop which is very reminiscent to Justin Timberlake’s Rock Your Body. It’s bright, flashy and in your face from the very start. All of the girls look flawless and the second outfit that they rock takes the retro sci-fi theme further and sees the group channel their best Betty Jetson looks. Flawless! The dance moves are on point. While the choreography looks deceptively simple, you can tell that it’s hard. The other thing is, of course, they never miss a beat. For me, SNSD (and any other SM Town artist), are absolute professionals. They don’t make mistakes. Ever. Not even a hair is out of place in this video! The stand out performer in this music video is Sooyoung. She’s owning every frame like Angelina Jolie at the Oscars. Someone else taking centre stage? No worries! I’ll still steal the scene. Sunny giving her cutest aegyo? I will out fierce her and her new long hair. I am living for Sooyoung in this music video! Here are some of my favourite Sooyoung moments! But that’s not to say that there aren’t also many other highlights. One of them is the crazy around the world dancing and the kicking parts. It’s generally awesome all round. But, for individual scene stealers, I present to you Jessica, Taeyon and Yuri. Overall, I’m going to say this is an awesome PV from the girls – one of their best! They music videos are never crazy but with their styling, choreography, natural charm and absolute flawless delivery I can’t fault them. 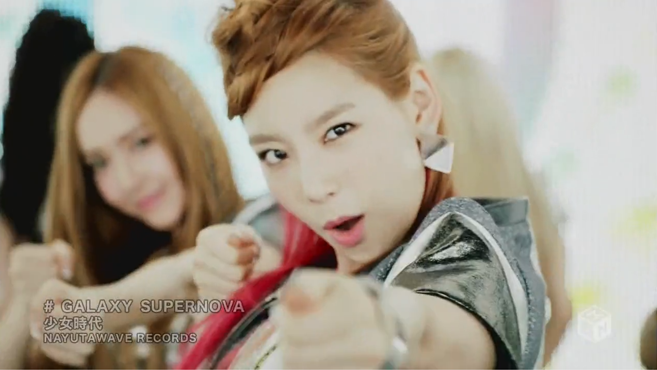 This is going right up there as one of my favourite SNSD songs so I salute you, galactic Girls’ Generation! Live long and prosper. 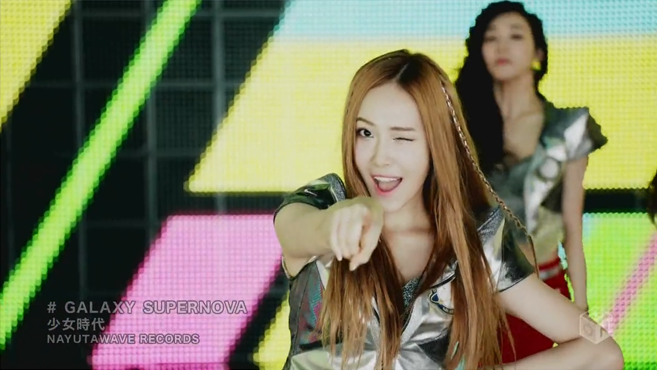 Girls’ Generation – GALAXY SUPERNOVA PV – reviewed by K-pop Peach on September 15th 2013. That’s right! The wonderful girls of T-ara have released their Japanese debut – a Japanese version of Bo Peep Bo Peep, their number 1 smash hit. It’s crazy to think that I have been a fan of these girls since before they debuted! The members were completely different and it has taken them a long time to reach their goals of success. 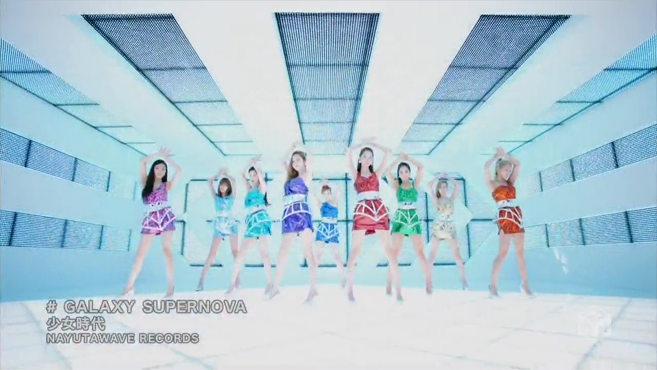 The song is a little different (it’s more computerised than the original), and different members sing different sections now (Hwayoung wasn’t a member for the initial release). But I really like the PV – it’s very cute! Who knew the girls were actually little kitties?! T-ara have released a very interesting MV for their comeback mini-album. It’s over 10 minutes long and even has a cameo from Boram-unnie’s father! I love the whole concept! At first I was a little skeptical because it… sounds so strange. But now hearing the song, seeing the dance routine and seeing the full-length MV – it makes me happy! 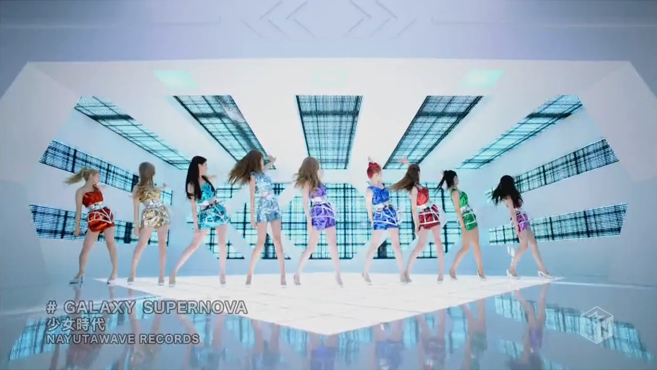 T-ara have just released the short version of their MV to their hot new song Roly Poly. I’m addicted already! I definitely think that this will be a hit! Netizens are already saying that it will be a big hit – Triple Crown anyone? The girls are finally back after a long hiatus! And they've also become a 7 member group with the inclusion of Hwayoung who looks very pretty! Boram is now also the leader. Let's hope she can focus on being a leader and not just eating all the time! BoA is back! The Hurricane Venus is making a come back in Korea after 5 years! 5 years! That’s crazy. People say new singles after a few months away are come backs, 5 years is a proper comeback! I wonder if Koreans have missed her :o I think she looks beautiful in the new MV and in the promotional pictures. She looks like a princess! The song is okay… and the MV is okay as well. I was expecting something more… flashy since they used the same camera technology as in the Matrix. But it’s a lot more subtle than that. The song might be a grower though so I’m going to continue on listening to it!